We find the week's news, so that you don't have to. 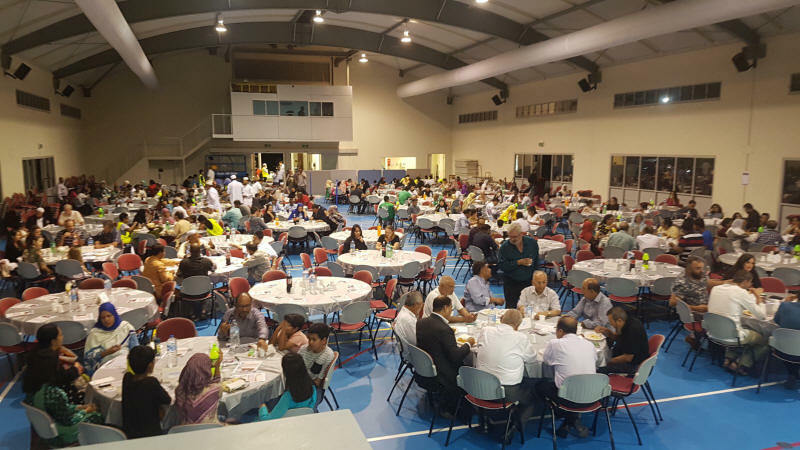 Over 300 people from various sectors of the community attended the fund raising dinner for the Rohingya refugees. Organized by the Justice for Rohingya, the event raised over $50,000. It was also an occasion to present the idea of establishing an advocacy group to continue the call for a solution to end the crisis in the region. 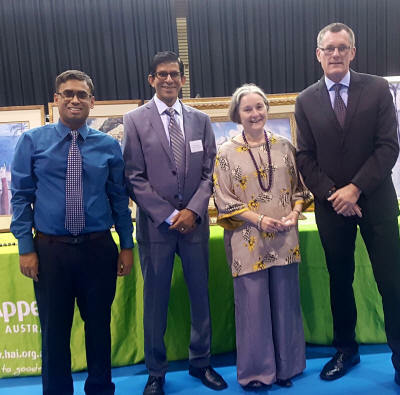 Senator Claire Moore shared her experience on her recent trip to the Coxs Bazaar area where most displaced Rohingya are temporarily stationed. Senator Moore also delivered a speech in the Senate on her analysis of the situation in Myanmar. Other speakers included newly appointed Greens Senator Andrew Bartlett, Paul Toner from Amnesty International, Dr Mohammed Islam (chairman of Justice for Rohingya) and Ali Kadri. Mr David Forde held the programme together as Master of Ceremonies and Mr Hussin Goss conducted the auction. Ahmed, youngest son of Imam Yusuf and Ayesha Peer, with Alaa Nayfeh. 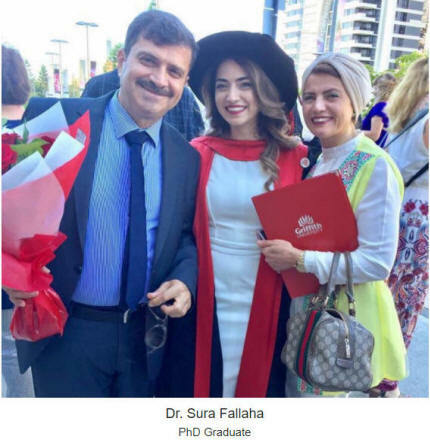 Ahmed graduated with a Bachelor of Pharmacy from Griffith University and Alla with a Bachelor of Pharmacy with Honours from the University of Queensland. The Gold Coast invited and hosted the Assistant Police Commissioner, Brian Cobbs. Mr Cobbs introduced his new Senior colleagues who are attached to the Gold Coast Police Head Quarters: Chief Superintendent Martin Mickelson (District Officer), Superintendent Craig Hanlon (Crime and Support) and Superintendent David Cuskelly (Patrol Services). "They conducted a tour of the Masjid and conversed with some of our Musallees before enjoying a sumptuous lunch to conclude their visit. 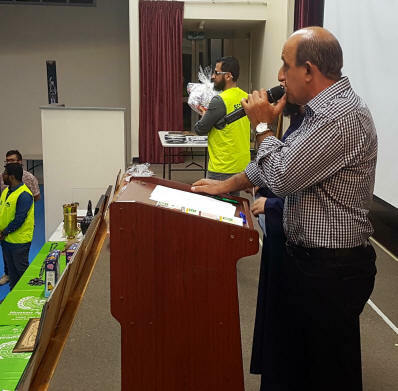 We would like to thank Haji Hamdi and the wonderful sisters who volunteered in preparing this meal," said a spokesperson for the Mosque Committee. 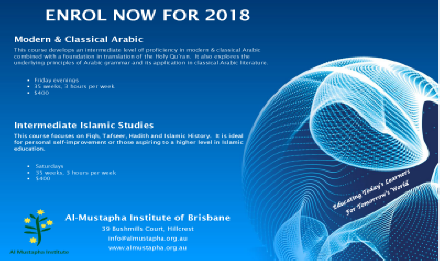 The Australian National Imams Council (ANIC) has been working closely with the Judicial Commission of New South Wales in establishing a better understanding of the Australian Muslim Community and the Islamic faith. As part of this dialogue ANIC has prepared an explanatory note on matters which may be raised in connection with Muslims participating in court processes. 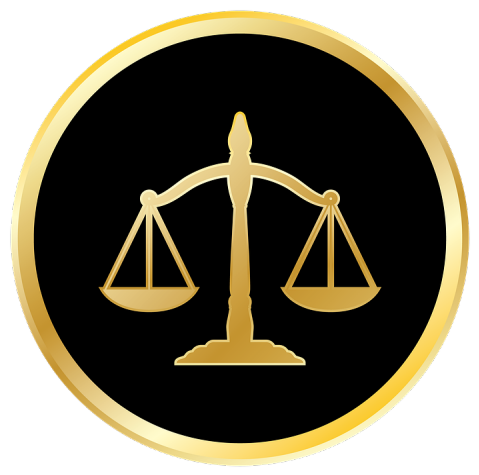 b) provide information to judicial officers on Islamic concepts and practices as they relate to matters which may be raised in connection with Muslims participating in the court processes. The explanatory note is an initiative of the ANIC and has been prepared and endorsed by the majority ANIC member Imams, including the Grand Mufti of Australia Dr Ibrahim Abu Mohammad. 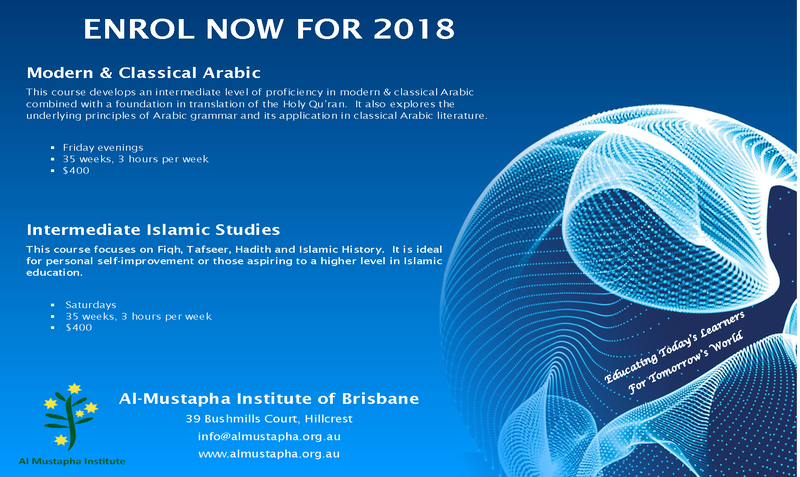 The ANIC hopes that this document will help both the Muslim community and the wider Australian community in having a better understanding of court processes and the Islamic faith. The explanatory note can be found on the ANIC website and is a public document that can be used by anyone. Christian pastors and Muslim imams have come together to draw up guidelines detailing advice on how to deal with inter-faith marriages. 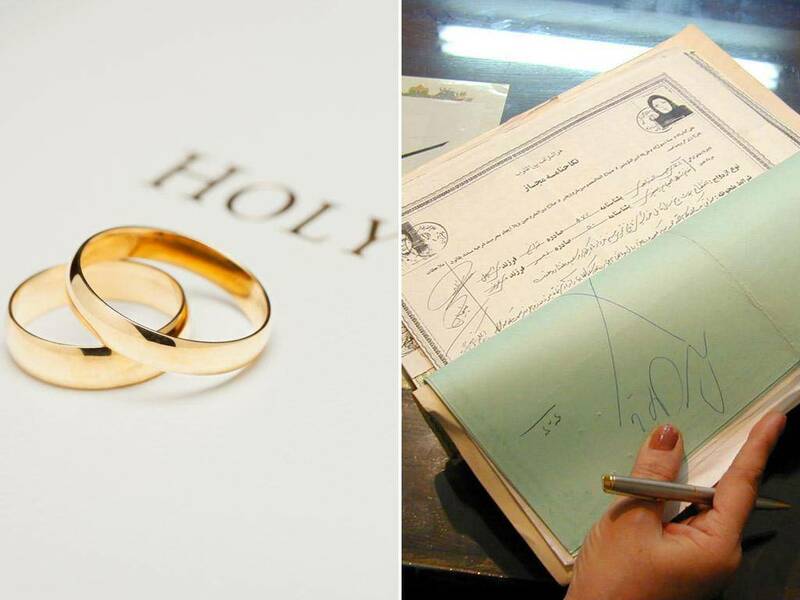 Although marrying between faiths is entirely legal in Britain, couples often face resistance and hostility, both from family members and religious leaders. Occasionally both Muslims and Christians feel pressure to convert to another's faith in order to avoid fallouts and ostracism. The new guidelines by the Christian-Muslim forum reinforce the need for religious leaders to accept inter-faith marriages and warn that no one should ever feel forced to convert. The publication of the document, which will receive a high-profile launch at Westminster Abbey today, is significant because those supporting it include imams from the more orthodox Islamic schools of thought and evangelical Christians. 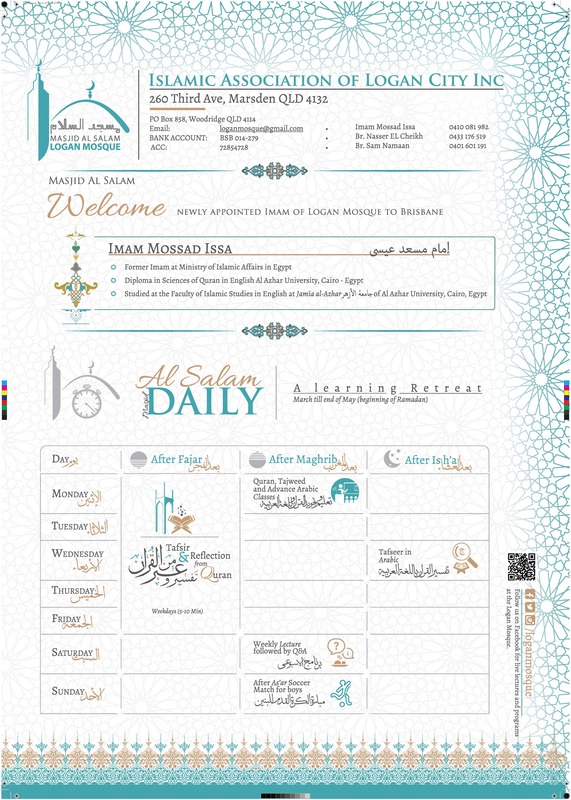 Among those who have signed up to the document include Sheikh Ibrahim Mogra, a prominent Leicester-based imam from the conservative Deobandi school, the Right Rev Paul Hendricks, associate bishop of Southwark Catholic Archdiocese, and Amra Bone, one of the only women in the country to sit in a Sharia court. Estimating the number of people in mixed-faith marriages is difficult. The 2001 census suggests 21,000 but demographers believe the figure is considerably higher. The document, called When Two Faiths Meet, is the product of months of painstaking negotiations between Christian and Muslim leaders and emphasises the need for tolerance and acceptance of mixed-faith marriages. Among the recommendations are speaking out against forced conversions, recognising the legality of inter-faith marriages in British law, non-judgemental pastoral care and a complete rejection of any violence. "It might sound a little like we are stating the obvious but it does need to be said," Sheikh Ibrahim told The Independent. "In reality Christian and Muslim couples often face very challenging scenarios where there is not enough tolerance or the right pastoral care and that can lead to a very damaging and negative experience for them." The Leicester-based imam said clerics were motivated to come up with the guidelines because they were seeing increasing numbers of inter-faith marriages over the years. "It's clearly already an issue and something that will become more and more common," he said. "It makes sense for pastors and imams to be ready for such situations rather than be left without help of guidelines when they get approached by couples seeking their advice." Those with experience of inter-faith marriages say couples often face a variety of difficulties. In Islam, men are allowed to marry "people of the book", Christians and Jews. But Muslim women are not allowed to marry outside their faith. Many of the more conservative or evangelical Christian denominations, meanwhile, insist spouses convert or promise to bring their children up as Christians. Heather al-Yousef, a counsellor with Relate who married a Shia Muslim man, was one of those asked by the Christian Muslim Forum to give advice for the guidelines. "There are, of course, a whole range of Muslims and Christians. Some groups are liberal about mixed marriages, others much more proprietorial. The good news is that Christians and Muslims are increasingly recognising the need to talk about these things. The very fact we've got so many people talking is in itself a success." While we came from different faiths, we approached them in similar ways. Although I was in my 30s and well educated, I was treated as though I was a silly little girl who had got herself into an irresponsible situation which could only be solved by my fianc� converting. It was also assumed that although my fianc� was Catholic, his religion was less important and that he likely did not believe in it to the same degree Muslims believed in their religion. We were not asked what drew us together, how we met, how we managed differences. Instead we were judged harshly and told off. We had discussed the option of one of us converting but decided this was not for us. We were shocked by how divisive and underhanded some Muslim clerics were. Ultimately, we found a Muslim cleric who saw things the way we did. The counsel he gave us was excellent, focusing as we did on what made us similar. Must have light bus license. Position is for 20 hours per week. 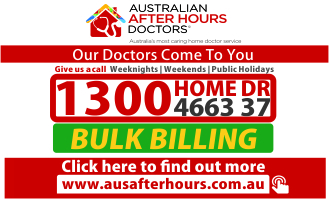 Office will reopen from 8th January, if interested, please ring us on 3372 1400. 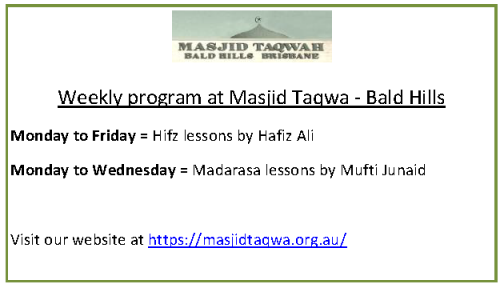 The aim of this newsletter is to provide weekly updates on events and projects which have happened or will happen in the following weeks in our Muslim Community. 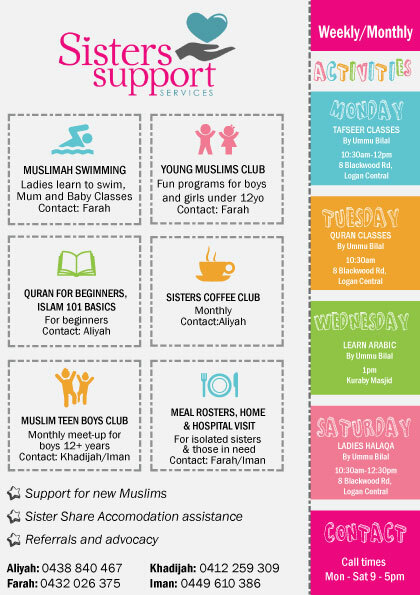 This includes family and fundraising events, updates on the Gold Coast Dawah Centre, as well as engagements with our local community. "Success means giving back to the community"
Restaurant owner in Punchbowl, Bashar Krayem, volunteers with CC Community Kitchen alongside Ms Waizani, helping support refugees, homeless people, and single parents. This year he has won Man of the Year, but was shocked to even be nominated. "To accept even a nomination for that is a very humbling one, but in saying that it's been a little bit of embarrassing at same time, because you don't want to be recognised for some good works you do," Mr Krayem says. He says he is simply following the teachings of Prophet Muhammad, helping his community. 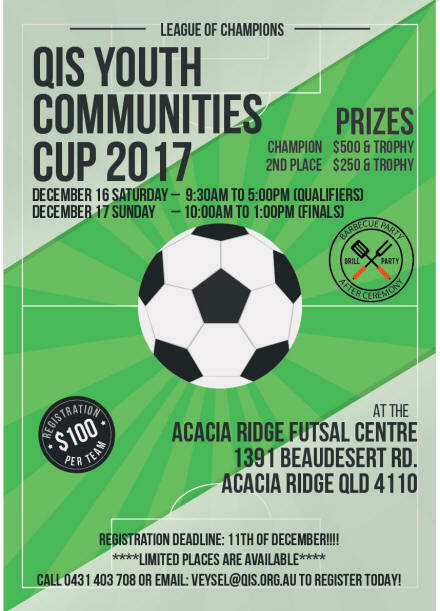 "We live in the community and we are around community, so we try our best to deal with the community in the best way possible and whatever work we can do to create a good environment community." 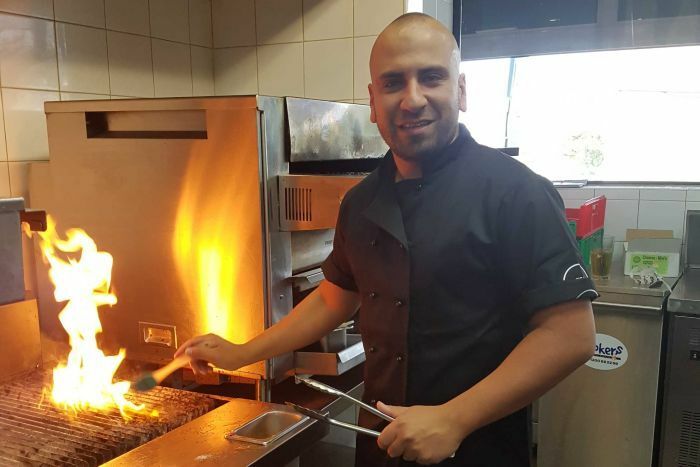 Mr Krayem has been working in the hospitality industry since he was 12 years old as a kitchen hand, and says he has always been fascinated with the food industry. 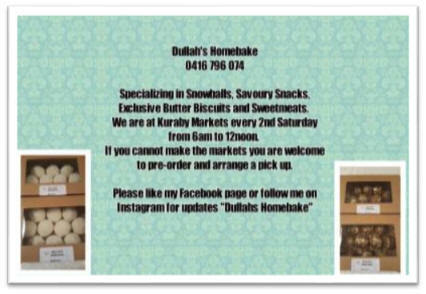 He admits he goes through difficulties as a business owner, however he always tries to look at challenges in a positive way. "There's no such thing as failure... but you know what you learnt and you move forward, you just have to have drive," he says. These days aside from his restaurants, he fully dedicates his time to work with various communities. Not only does he provide financial support and food, he also hosts 200 refugee families to come and enjoy the first day of Ramadan every year. 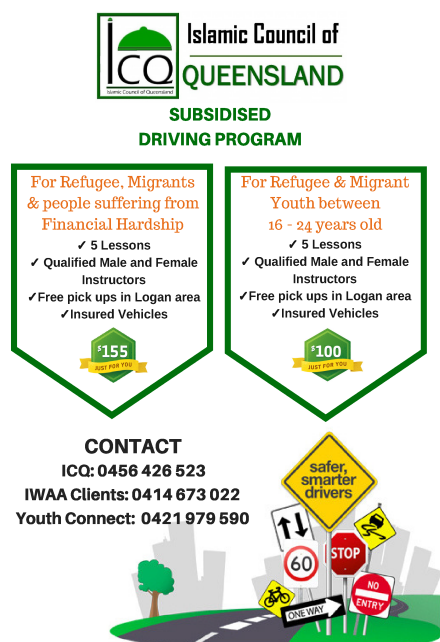 He also employs refugees and others from disadvantaged backgrounds. "We do a lot of works with local churches. So when they have events, we come to the event, we supply the food... we attend if they have meetings. 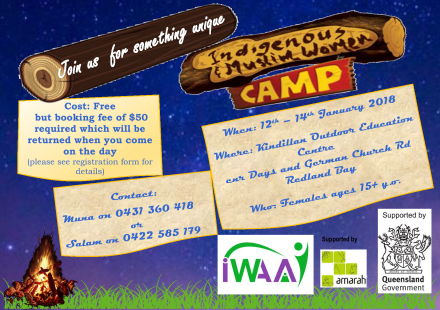 So whatever the case they have, if there any concern in the community... we will be there to support them." Mr Krayem believes that being successful means giving something back to the community. "That's very important to create that opportunities that other people will probably think twice about having these kinds of people in their premises. But this is your duty of care," Mr Krayem says. When one of his sons came to him asking why there are always bad stories about Islam in the media, he was a bit struck. His son asked point blank: "Are we bad people?" "I said 'No... look, we need to be proud of who we are... because our belief system is we care for one and another, and we love one another, and we want to help one another'," Mr Krayem says. 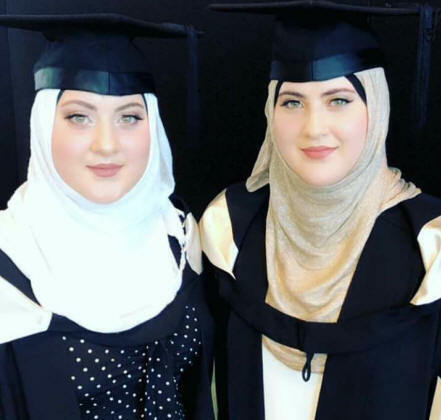 "Once people see the truth side of Islam, they would then appreciate us, we don't have to turn and change our opinion of what we believe in to impress other people and this is what I teach to my kids." That the rump of South African Islam arose from slave origins at the Cape is well established. However, the make-up of the community is clouded by a �Malay� nomenclature, which is only correct in the sense that �Malay� indicates Muslim identity � mainly due to Malayu being a slave lingua franca. This is supported by Yusuf da Costa, in a chapter from the Pages of Cape Muslim History, which indicates that from 1652-1818 the largest group of slaves (36.40%) came from India, specifically the Malabar, Coromandel and Bengali coastal regions. The second biggest group originated from the East Indies (31.47%) and the third (26.65%) from Africa (chiefly Madagascar and East Africa). In 1780, four men from the Mollucan island of Tidore were sent to the Cape, not as exiles, but as state prisoners. One was Imam �Abdullah ibn Qadi �Abdus Salam. Their crime? Conspiring with the English against the Dutch. 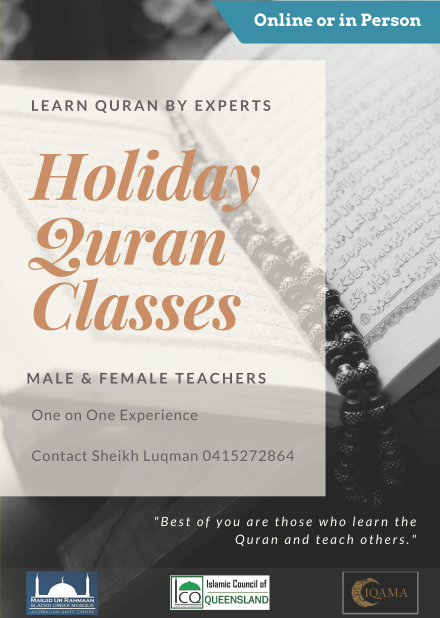 Imam �Abdullah, known as Tuan Guru and who called himself �mazlum� (the oppressed one), was sent to Robben Island where he inscribed the Qur�an from memory and penned the Ma�rifat al-Islami, a handwritten 600 page compendium on Asharite theology. In 1793, Tuan Guru�now on the mainland�applied to build a mosque, which was turned down. However, he did establish a madrasah in the warehouse of a freed slave, Coridon of Ceylon. 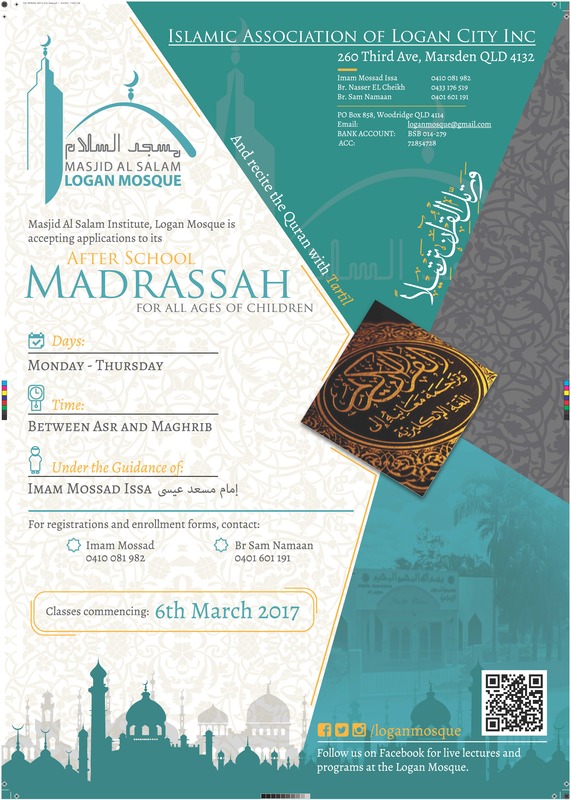 The madrasah, open to all, was popular. There was no other education for slaves and free blacks. This caused the Earl of Caledon, the Governor of the Cape, to remark that if the people were left uneducated they would fall �prey� to the �Mohammedan priests� who already had 375 children in their school. By 1797, Tuan Guru was able to establish a mosque. He passed away aged 95 in 1807. According to Shaykh Seraj Hendricks, Tuan Guru had been a follower of the Ba �Alawi tradition, carried from Hadramaut to Indonesia, and then to South Africa. 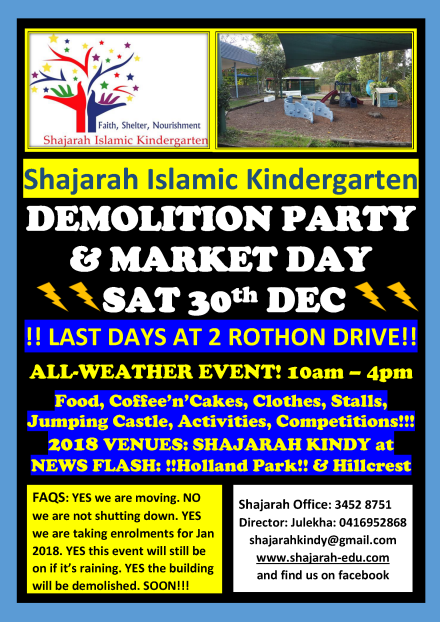 Coridon of Ceylon�s daughter, Saartjie (Sarah) van der Kaap, then created the first waqf in South Africa when she specified in her will in 1847 that the mosque in her husband�s warehouse should remain so �for as long as Islam� remained at the Cape, and should never be sold or mortgaged. After 1798, Islam became the fastest growing faith in the colony. By 1832, there were 12 madaris offering not only Islamic subjects, but also English, Dutch and accounts. By 1842, one-third of Cape Town�s population was Muslim (over 6,000). 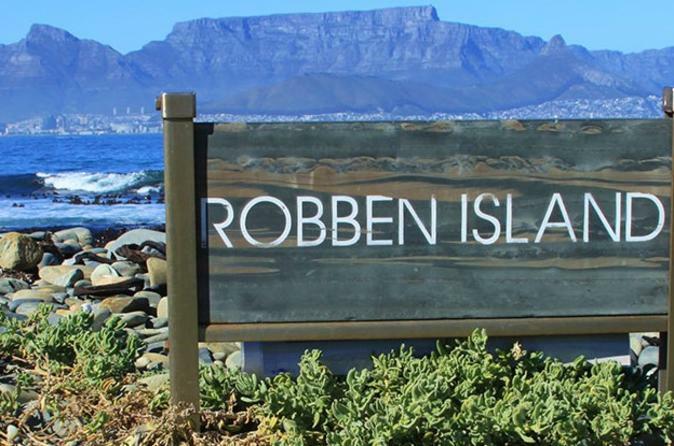 With the abolition of slavery in 1834, the Cape Muslims became the city�s artisans and servants, their influence seen in its cuisine, its tailoring, its furniture and its buildings. By the mid-1800s, the community was bedevilled by doctrinal and mosque related disputes. A parliamentarian, P.E. De Roubaix, negotiated for an independent religious scholar to be sent to the Cape in conjunction with community leadership. At the behest of Queen Victoria, the Ottomans sent Shaikh Abu Bakr Effendi to Cape Town in 1862. Unfortunately, the colonial authorities did not know that Effendi was Hanafi and the Cape Shafi�i. Nonetheless, Tuan Guru�s grandsons became his first students. Shaikh Effendi, who passed away in 1880, wrote the 354-page Afrikaans-Arabic Bayan ad-Din in 1877, which was published as gift by the Turkish Government to the Muslims of Cape Town. By the mid-19th century, Islam had moved outside the Cape Colony. In 1860, indentured Indian labourers arrived in Durban. In 1869, the first �passenger Indians�, who had paid their way, followed. In 1872, Hajji Aboobaker Ahmed Jhaveri set up the first Indian store in the country. In 1873, Zanzibari sugar cane workers arrived, and in 1875, the first Memon trader, Aboobaker Amod, opened his doors in West Street, Durban. In 1895, another great South African luminary, Shah Ghulam Muhammad Chisti � or Sufi Sahib � landed in Durban from Ratnagiri (near Mumbai). He founded the Riverside centre on the banks of the picturesque Umgeni River. In 15 years, he built 12 masajid across the province. He passed away in 1911. Six individuals of Pakistani origin have featured on Forbes magazine's '30 under 30' list released on Tuesday. The list, which is released annually, features 600 individuals making strides in 20 different industries, including art and style, education, games, food, enterprise technology and media. 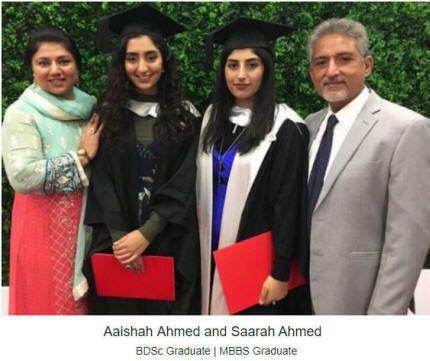 The four individuals of Pakistani origin featured in the 2018 list have been selected for their achievements in the industries of retail and e-commerce, enterprise technology and education. 4. 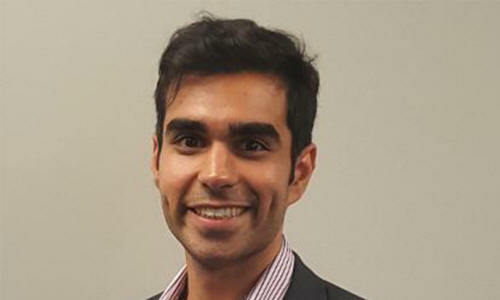 Khizer Hayat, 28, is the president of Teach Pakistan Initiative, a non-government organisation working to improve the rural education system in Pakistan. He features on the list as co-founder of ThroughPut, "a data science automation company which estimates waste in supply chain and logistics operations and offers recommendations to eliminate bottlenecks and areas of concern." 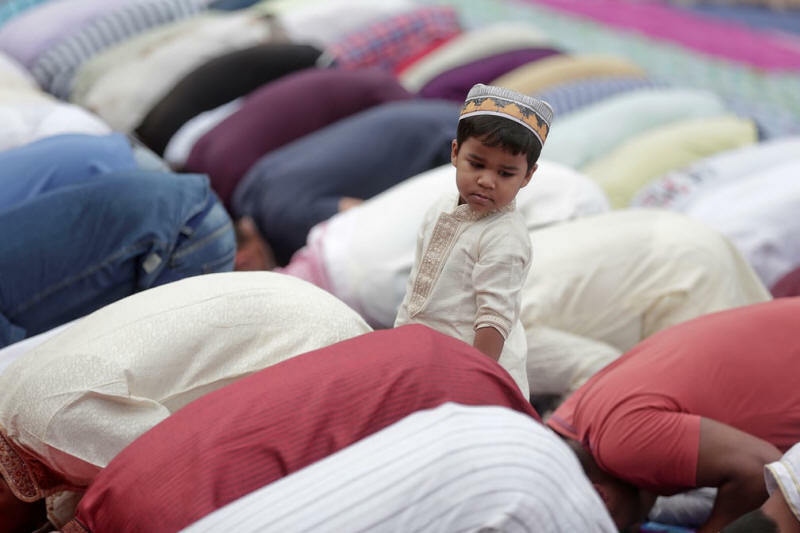 A child stands amid kneeling worshippers marking Kurban-Ait, also known as Eid al-Adha, in downtown Rome. 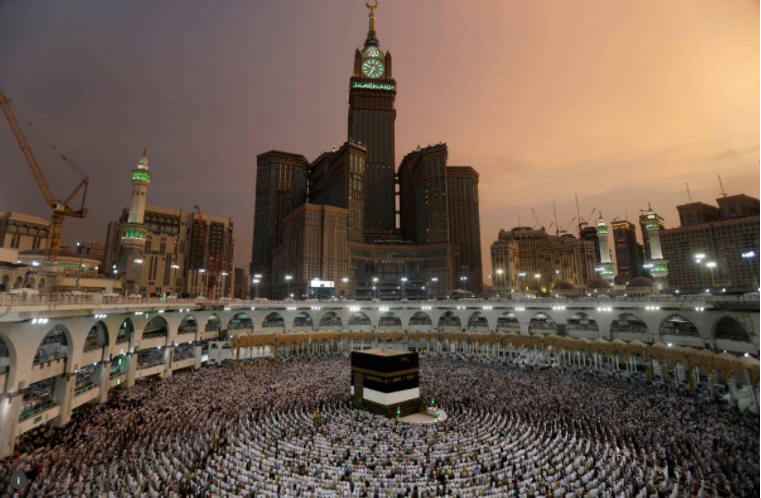 "Haj is all about living lightly and centring yourself around God"
Some 2 million people are expected to travel across the globe to eat, sleep and pray in unison from Wednesday, as the annual Islamic pilgrimage of Haj gets underway in Mecca. For billions of Muslims who are physically and financially able, Haj is a mandatory act of worship. But the religious celebration also has a substantial impact on the environment. 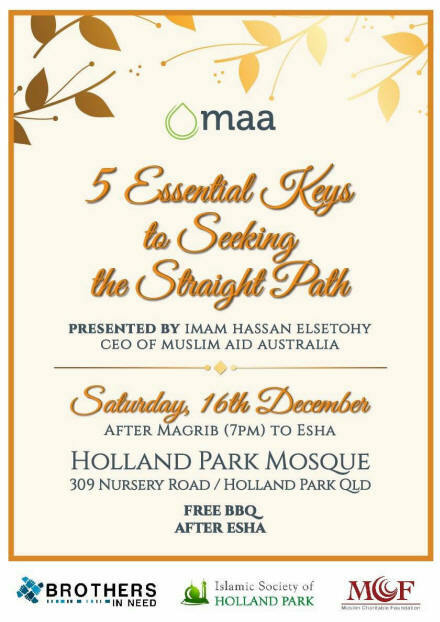 Environmentally aware worshippers say that should be reduced, while inspiring Muslims to adopt a greener lifestyle. "Haj is all about living lightly and centring yourself around God," 28-year-old pilgrim Shanza Ali told the Thomson Reuters Foundation from Mecca in Saudi Arabia. "We make many journeys in our life, and we go to many places, but this is the only journey that's physical, mental and spiritual," said Ali, who is chair of UK-based group Muslim Climate Action. She has found many similarities between Haj's message of simplicity and being environmentally conscious, and has tried to minimise her own carbon footprint and waste during the pilgrimage, which lasts for at least six days and takes worshippers to a series of holy sites in Saudi Arabia. Haj, which predates Islam and is traced by Muslims to the monotheistic figure Abraham, is now the world's largest annual gathering of Muslims. Saudi Arabia stakes its reputation on its guardianship of the faith's holiest sites. 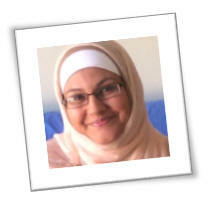 For Husna Ahmad, author of "The Green Guide for Hajj", Muslims are doctrinally required to be stewards of the Earth. Tackling climate change is no longer about preserving the planet for future generations as its effects are evident now, she said. The majority of Muslims live outside Saudi Arabia and could collectively influence the greening of the sacred rituals, she added. "Consumer power is something that people need to think about in terms of flights, what they take, what they wear, the rubbish they throw, plastic bottles and all those sorts of things. We have to be conscious of that," she told the Thomson Reuters Foundation. Muslims need to move away from a fast, disposable society, she added, with Haj being the potential start of that journey. In recent years, Saudi Arabia has taken steps to green the Haj, such as setting quotas for pilgrim numbers and developing the Mecca metro system to limit pollution. 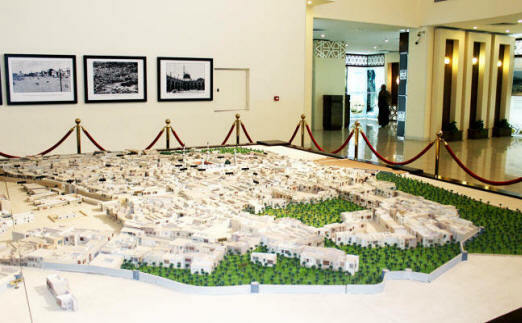 The Saudi Green Building Forum, a Riyadh-based non-governmental group recognised by the United Nations, has recently been tasked with auditing green efforts in Medina, the country's second holy city where the Prophet Mohammad is buried and a site visited by millions of pilgrims. These are only just some of the questions, based on prevalent misconceptions about the Muslim community, that people keep on asking. Hopefully, this little piece can give a little more perspective, a little more nuance for the next time you talk to a Muslim you know. There�s a saying that religion comes alive at the hands of men. In the case of contemporary Muslim societies, the �hands of men� part is all too accurate. The fact is that in some Muslim majority countries, patriarchal norms and structures have shaped nationally specific understandings of Islam. And there�s a long way to go to decouple Islam from these cultural aspects in these countries. 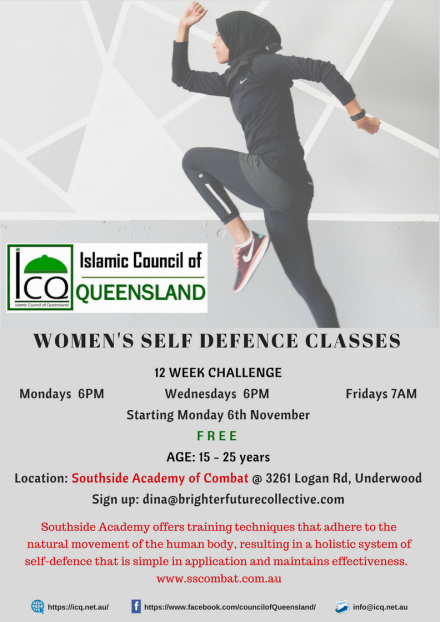 But to think that Islam � in all countries in which it is practiced, across all cultures -fundamentally �hates� women or that Muslim women need to be saved from their religion is a simplistic view. It also overlooks the fact that Muslim women- not to mention Muslim feminists- proudly practice their faith while battling gender stereotypes that others try to impose on them. The United Nations has issued a scathing report on racism in Australia, warning discrimination is "on the rise", including in the political sphere and in the media. But the assessment and its recommendations have drawn a fierce response from the Turnbull government's Multicultural Affairs Minister, Zed Seselja, who lashed out at its "bizarre criticism". It suggested racist incidents were often "treated with impunity" and said section 18C should be better policed by "law enforcement officials". UN officials were concerned too few racial discrimination complaints made it to court because the costs and the burden of proof were too high. Free speech advocates consider section 18C � which makes it unlawful (but not criminal) to offend, insult or humiliate someone on the basis of race � a blight on free expression. The Turnbull government earlier this year tried to water down the section's wording but was blocked by the Senate. In its report released overnight in Geneva, the Committee for the Elimination of Racial Discrimination declared "expressions of racism, racial discrimination, and xenophobia, including in the public sphere and political debates as well as in the media, are on the rise" in Australia. The report's conclusions are based largely on submissions and testimony from non-government organisations, communities and Australian governments. Hate speech and violence particularly affected Arabs and Muslims, asylum seekers and refugees, Africans, South Asians and Indigenous people, the committee noted. 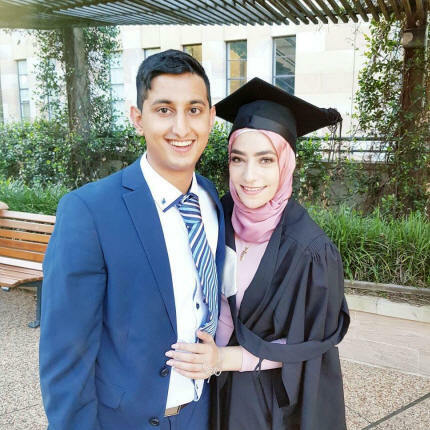 It recommended ditching the anti-terrorism and national security clauses of the Multicultural Australia statement � announced by the Turnbull government in March � which it warned could lead to racial profiling of Muslims and Arabs by police. Senator Seselja said the Turnbull government "completely rejects this bizarre criticism" and that a successful multicultural Australia "is only possible, if at the same time, our borders are secure and our nation is safe". The UN committee also turned on politicians, saying Australia needed to combat xenophobia in political discourse by ensuring public officials "not only refrain from such speech but also formally reject and condemn hate speech". Furthermore, the media should "put an end to racist hate speech" in print and online, and adopt a "code of good conduct" with provisions banning racism. Alina​ Leikin​, lawyer at the Human Rights Law Centre, said the UN report was a clear call to arms for the government to "act both urgently and effectively" in tackling racism. Muslim schoolgirls sing 'Insha Allah' song at St. Pauls Cathedral at a memorial service for the victims of the Grenfell Tower fire which claimed the lives of 71 people. The memorial was attended by members of the Royal Family and the British Prime Minister as well as other members of Parliament. It's time to step up for Black Muslims in the Muslim community. 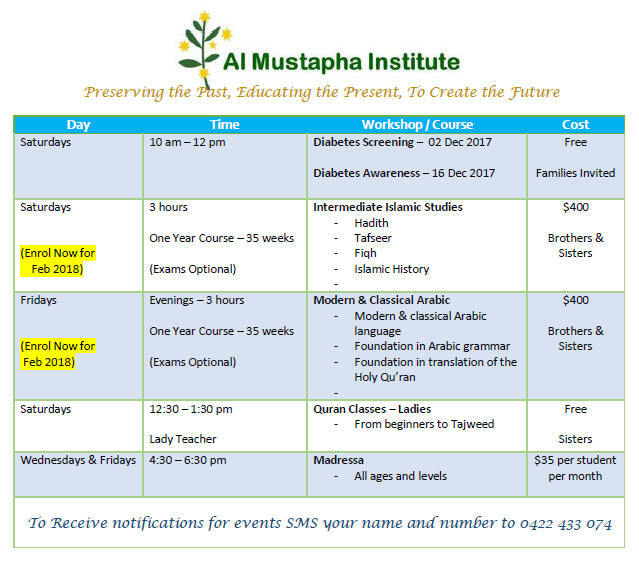 TOPIC: "May Allah accept ur deeds"
MADINAH: The Islamic University of Madinah plans to establish a history museum to achieve the Kingdom�s Vision 2030 through promoting the heritage of Saudi Arabia, Madinah and the Islamic University. �This museum will contribute to strengthening the country�s cultural identity and promoting its national heritage, in addition to raising awareness of its value, improving the culture of museums and documenting the university�s history, which spans over half a century,� said the rector of the Islamic University of Madinah, Hatim bin Hassan Al-Marzouki. Al-Marzouki asked the historical museum�s committee, led by Abdullah bin Mohammed Al-Otaibi, to develop a full plan for the museum, including its architecture, theme and location, as well as mechanisms for collecting, classifying and archiving artifacts. Among the committee�s members are Omar bin Abdul Aziz Al-Saloumi, Suleiman bin Mohammed Al-Atni, Saud bin Abdul Aziz Al-Saloumi and Rajaa bin Atiq Al-Muaili. MADINAH: The General Presidency for the Affairs of Two Holy Mosques has prepared the place for greeting the Prophet (peace be upon him) by asking the imam to go back to the Mihrab of the Prophet, the presidency announced on its website. Friday prayers at the Prophet�s Mosque witnessed the return of the imam to the mihrab in the Prophet�s Mosque. Sheikh Abdullah Al-Biaijan led Friday prayers in the Prophet�s Mosque. The presidency has already prepared the pathway leading to the place for greeting the Prophet and his two companions to allow visitors to greet the Prophet without crowding and harassment, in light of the density of worshippers recently witnessed by the mosque. 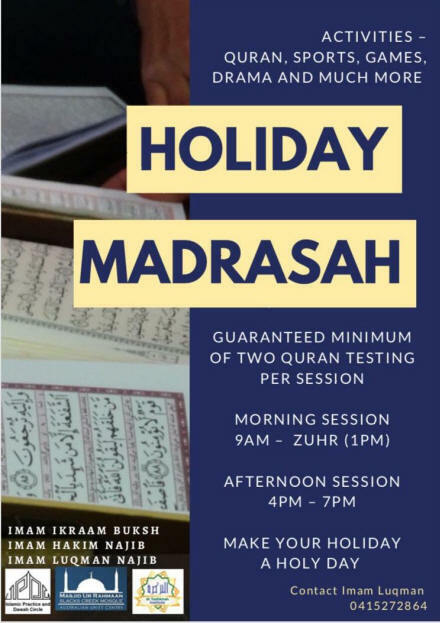 This comes in line with directives of the leadership to allow visitors perform prayers in the Prophet�s Mosque and easily and comfortably greet the Prophet and His companions. Sources said the directives were issued saying that that leading worshippers in the Prophet�s Mosque during Friday prayers, the two Eids, Taraweeh, and midnight prayers will be held in the old mihrab of the Prophet�s Mosque. The sources said the reason behind the decision was to avoid the occurrence of stampeding during the visit of the tomb of the Prophet and his two companions Abu Bakr and Omar. 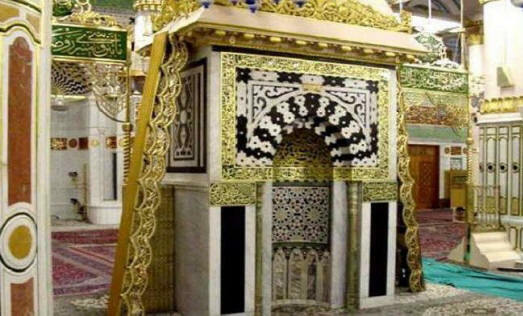 Leading worshippers from the Prophet�s Mihrab ceased 25 years ago. Sheikh Ali Al-Huzaifi was the last imam who led prayers from the Prophet�s Mihrab in 1414H. The eyes of the world are on the Middle East. Today, more than ever, this deeply-troubled region is the focus of power games between major global players vying for international influence. Absent from this scene for the past quarter century, Russia is now back with gusto. Yet its motivations, decision-making processes and strategic objectives remain hard to pin down. So just what is Russia up to in the Middle East? 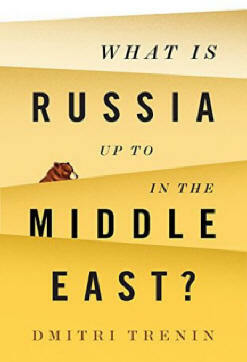 In this hard-hitting essay, leading analyst of Russian affairs Dmitri Trenin cuts through the hyperbole to offer a clear and nuanced analysis of Russia's involvement in the Middle East and its regional and global ramifications. Russia, he argues, cannot and will not supplant the U.S. as the leading external power in the region, but its actions are accelerating changes which will fundamentally remake the international system in the next two decades. 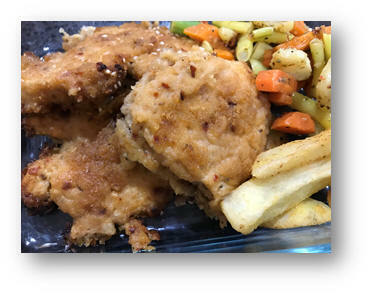 KB says: This chicken recipe can be made in advance and frozen right up to Step 3. It is ideal for the holidays and can be enjoyed at picnics as a filling for a burger or wrap. 6 pieces of Breast Chicken tenderized and cut into long rectangular pieces. I often got into trouble when I was a little girl, all feisty and opinionated. Mother used to reprimand me with tight slaps. Dad, on the other hand, used to ask me to say sorry. I grew up saying �sorry� many times and soon it became a habit. Soon, I was saying sorry for things that weren�t even my fault. Worst part about saying sorry out of habit was that I no longer attached meaning and value to my apology. It became a word which was convenient to use when trying to justify my behaviours. Upon reflection, much later in life, I became aware of my habit of saying meaningless sorrys to people and never really admitting responsibility for my actions. I dug deeper into my behaviour patterns and discovered that I actually was never taught the meaning of the word sorry and why it needed to be said. For years I believed in the misconception that when I�m bad, I can turn it into good by saying sorry. 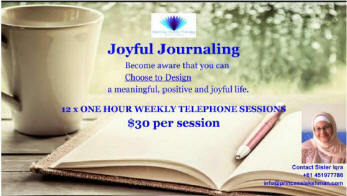 And then one day, during my self-reflection, it dawned on me that it�s not about me being good or bad. It�s about the undeniable truth that my actions, my words, my behaviours have actually caused hurt to another human being. Acknowledging that hurt and feeling genuine remorse is the only way to say sorry. Saying sorry is actually about SEEKING FORGIVENESS. Saying sorry is NOT ABOUT JUSTIFYING your actions. Saying sorry is about forgiving yourself and seeking forgiveness from the one who was hurt by your words, actions and behaviours. Have you ever received an apology which seemed more like a slap on the face than an actual sincere apology? Where you felt more hurt than when the person initially hurt you? Have you ever said sorry to another and not really meant it? Try practising the following steps to ensure that you are mindfully saying sorry and sincerely seeking forgiveness. 1. Before approaching the person, pray your salah and ask ALLAH to give you clarity of speech and help you express a sincere apology. Ask ALLAH to help the other person with the act of forgiving you. 2. Express genuine remorse when you are talking to the person. A good way to start would be to say something along the lines of : I am genuinely sorry for causing you hurt. I feel terrible about it. I seek your forgiveness. I promise to be mindful to never repeat this behaviour again, In Shaa ALLAH. Please forgive me. 3. Wait for the person to process your words. Even if there is silence, remain calm. The person may need time to think about your apology. He/she has a right to take this time. Do not pressure him/her to respond immediately. Respect their silence. 4. Tell the person that you respect the time needed to think about this. Leave the room to show that you genuinely respect the person�s space during this time. 5. Sit somewhere in silence and make duaa and dhikr, express gratitude to ALLAH for giving you this opportunity to express your remorse. Ask ALLAH to forgive you for causing hurt to another. 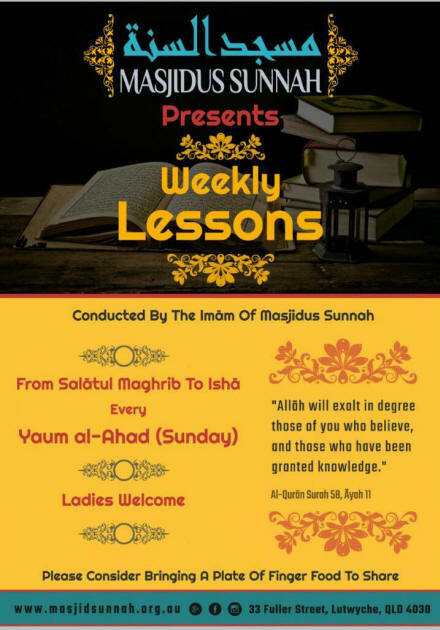 In Shaa ALLAH, next week we will explore the topic: So You Think You Can Judge! 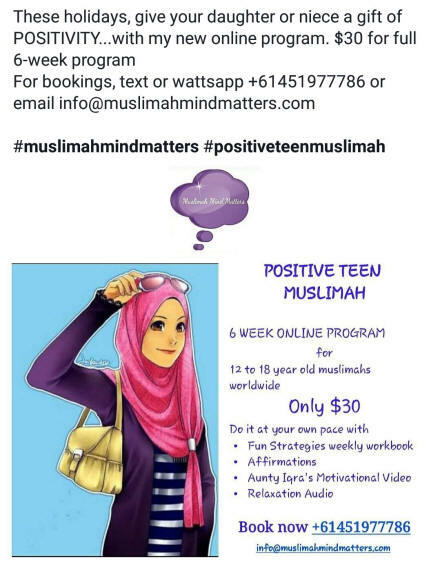 Muslimah Mind Matters videos available on YouTube. 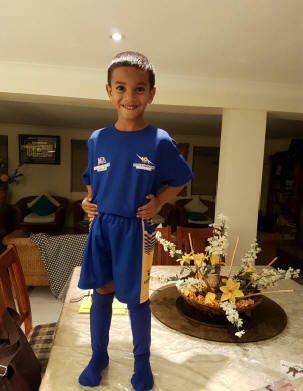 Q: Dear Kareema, I am expecting my 3rd child and have been physically active for the last 12 months at least and I have clearance from my GP. Just wondering which exercises are best as I wasn�t very active with my last 2 pregnancies? 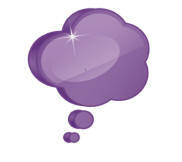 A: Congrats and get ready for your life to be a whole lot busier! Try some of the following exercises as they are low-risk and will benefit your whole body. They are also safe for you to do throughout your pregnancy. N-JOY and all the best! Jallalludin's Wife: I have a bag full of used clothing I�d like to donate. Jallalludin: Why not just throw it in the trash? That's much easier. Wife: But there are poor starving people who can really use all these clothes. Jallalludin: Habibi, anyone who fits into your clothing is not starving. 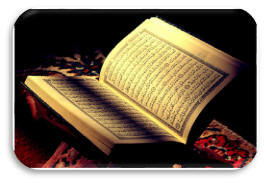 And it is He who made the night and the day alternate�for whoever desires to reflect, or desires to show gratitude. "Life is like a game of chess. We become each and every piece within the game called 'life'." Soccer 365 is now enrolling children for our summer vacation program 2017 commencing on the 15th of december up until the 20th january @ Svoboda park in Kuraby. 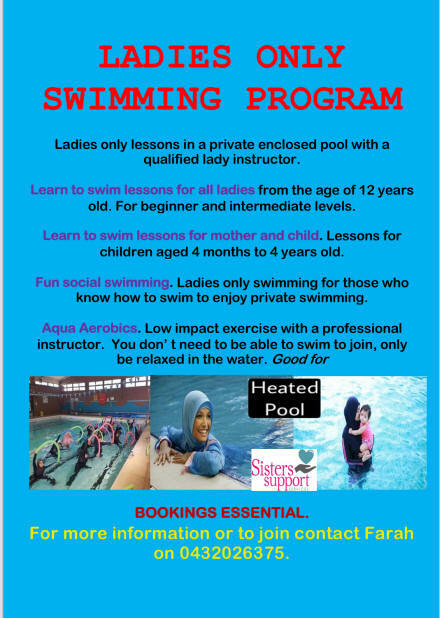 - Saturdays 4.30pm-6pm for children aged 8-12 years old (juniors). The lessons shall cover the fundamental rules and skills of soccer encouraging social skills, motor skills and recreational fun. 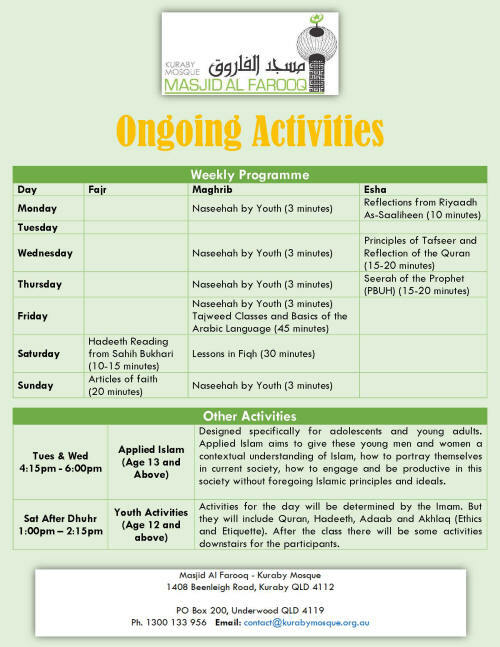 As it is summer holidays there will also be a range of additional activities such as scavenger hunts, free time in the playground, other sports games, competitions and prizes. 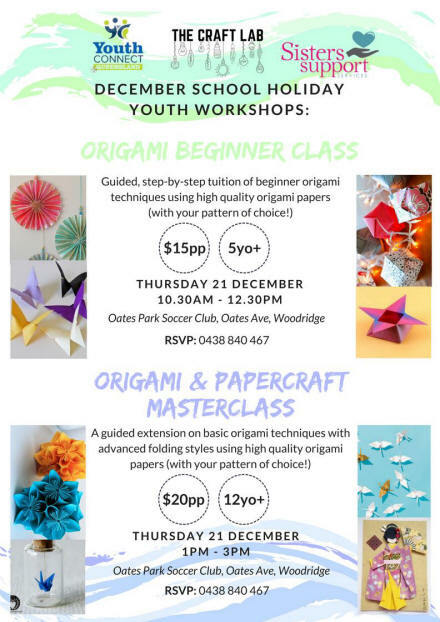 And mini and junior sessions will be $12 per lesson. 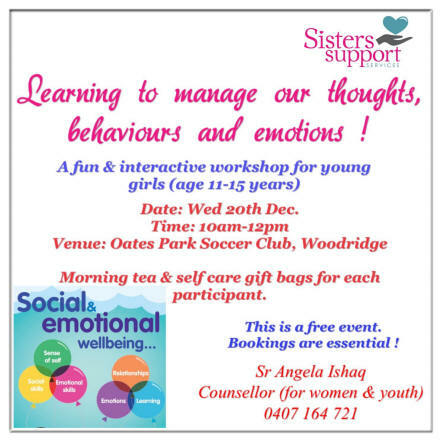 Places are limited so please contact us to book a place for your child now. 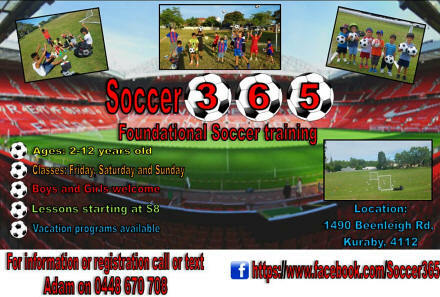 Also please check out our Facebook page Soccer 365 Brisbane for pictures, videos and information on the sessions. 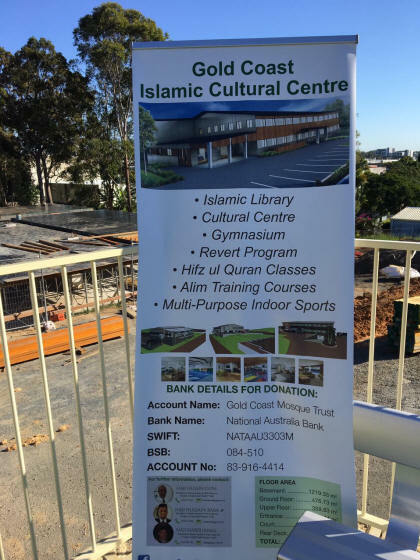 Construction of the Cultural Centre (Dawah & Youth Centre) is progressing well. 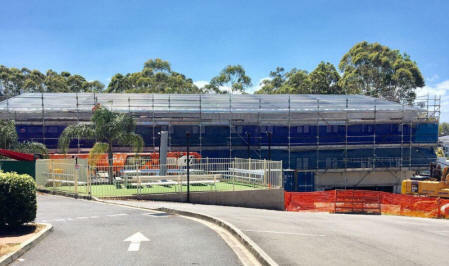 This week the doors, windows and beams for the roof of our GC Islamic Cultural Centre have been installed. The plumbing work is currently in progress and the interior walls have been partitioned for rooms and toilets..
We still need donations to fund this construction. Over the past several months MCF have utilised your valued donations to assist many people in need from our local community. Among those assisted in July was a single young man who is an amputee and also a heart attack victim. MCF assisted by spending some time with him and also by taking care of some of his outstanding living expenses (which he was unable to cover due to his condition). Among those assisted in August was was a single mother with 2 children. She suffers from a debilitating, serious and persistent skin condition which involves the use of expensive medications to control. MCF utilised your donations to provide financial aid enabling her to both pay for medications and to cover outstanding rental bills. 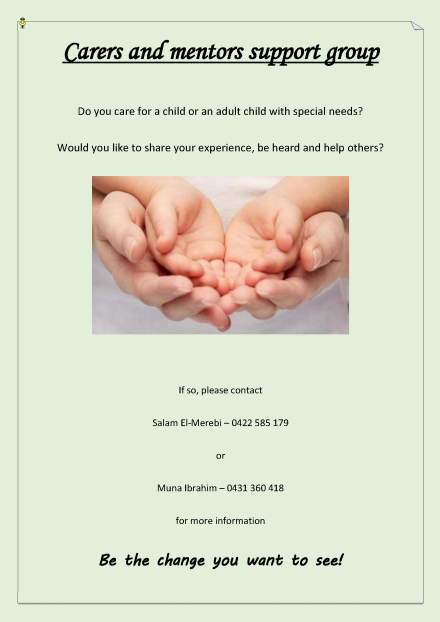 Among those assisted in October was a family who tearfully explained that they could not afford the hefty costs for the expert childcare needed to treat their autistic 3 year old son. 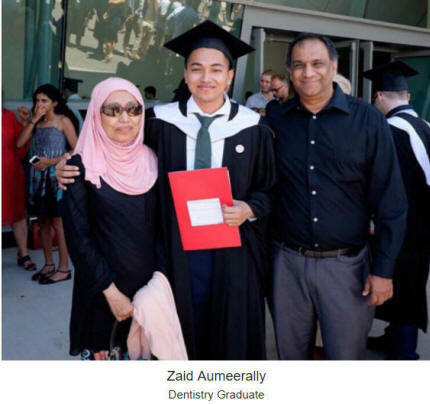 The family arrived in Australia 3 years ago on bridging visas with 2 young boys. They are not eligible for childcare rebates on their visas. MCF paid for a three month expert childcare trial and new assessments were then made. The results were, that he has made significant progress in relation to his social and emotional development. The joy and emotion expressed by his mother when MCF agreed to continue to pay the childcare fees was overwhelming. Among those assisted in November was a single mother with 3 children. MCF utilised your donations to provide her with a basic bed and a basic washing machine. The washing machine will inshallah help the family to maintain a healthy hygiene level and also for the children to obtain a restful sleep. The cases mentioned above are but a few of the many cases we deal with almost on a daily basis. Your continued support ensures that the most vulnerable people in our Community receive the help they most need. 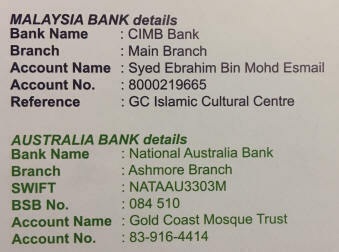 To donate to MCF, please use the electronic banking details on our website: www.mcfaustralia.org.au. May Allah bless both the MCF volunteers and the people who donate. Without your support, community assistance like this would not be possible. A reminder that all money donated to MCF is received by those in need. MCF has no paid staff and no admin fees. 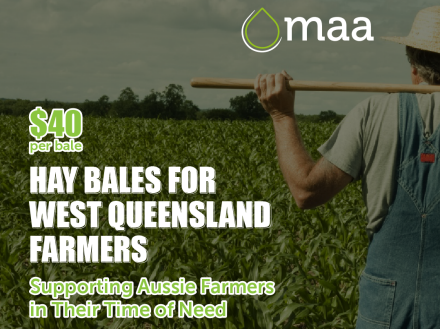 Due to the ongoing drought affecting farmers in west Queensland, MAA have joined local organisations to help Aussie farmers in their time of need by trucking hay bales from Victoria and New South Wales to farmers in west Queensland. Farmers impacted by drought often struggle to ask for help and many due to the financial strain of trying to keep the farm afloat also battle mental health issues. By providing bales to help farmers feed their animals you'll be taking a huge financial burden from them as well keeping their livestock alive.